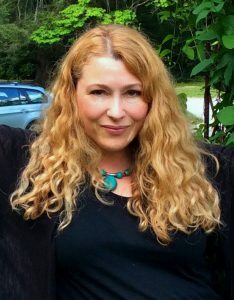 MFA, nonfiction writer whose work has appeared in publications such as Creative Nonfiction, The Atlantic, The Rumpus, Guernica, Best Travel Writing 2011, and the Norton Anthology Fakes, among others. Ms. Eerkens has been the recipient of distinguished fellowships at VCCA, the James Merrill House, The Hambidge Center for Creative Arts, and was a Pushcart Prize nominee in 2013. She currently teaches creative writing to undergraduates at the University of Iowa. Her book, All Ships Follow Me: A Family’s Inheritance of War, is forthcoming from Picador. As passionate observer of the human condition, I believe there is nothing more effective than narrative- whether fiction or nonfiction- to communicate universal truths for all of us. Narrative exposes the places that we overlap in a world that can feel very divided, and I believe that this is why we read: to find our emotional experiences reflected in some way. I believe that language is a boundless medium for creative expression. To that end, I will encourage you to go deeper and push the boundaries of your writing. That may mean playing with form and re-envisioning your approach to a piece of writing, or it might mean exploring a layer of emotional truth beneath the surface of a piece to open up new possibilities. You will often hear me ask, “What is this piece really about?” And I will urge you to find the answer, especially if you haven’t considered that question before. I will ask you to be brave and do the work. In exchange, I promise to do my best to create and maintain a safe, confidential space for you to develop your writing, filled with constructive criticism from myself and classmates, free of ridicule. Welcome!